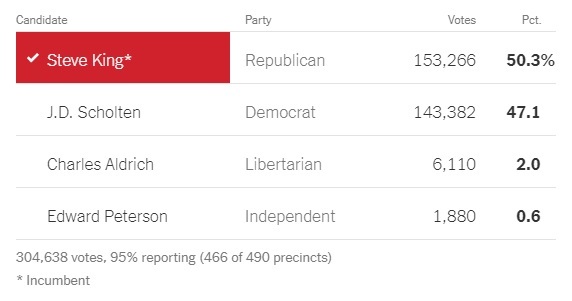 Outspoken Republican Steve King won his reelection bid Tuesday night despite being attacked by members of the GOP establishment and smeared as a "white supremacist" by the fake news media. 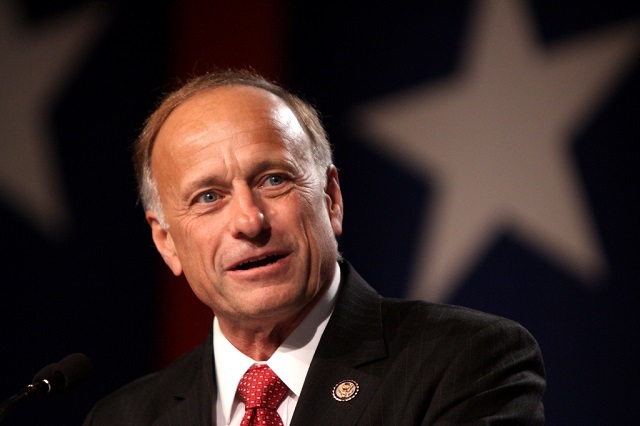 Though Democrats managed to flip two House seats in Iowa, they could not defeat King. Florida Republican Rep. Carlos Curbelo, who made a name for himself by attacking King as "disgusting" and saying he "would never cast a ballot for someone like" him even if the GOP majority depended on it, lost his reelection bid on Tuesday night. King has been subject to relentless attacks for saying last year that Dutch Freedom Party leader Geert Wilders "understands that culture and demographics are our destiny" and "we can't restore our civilization with somebody else's babies." All True Conservatives™ know you can easily replace the entire population of America with foreigners and have the exact same country.